A traffic stop by Elk Grove Police last night led to the arrest of a man suspected of dealing marijuana. 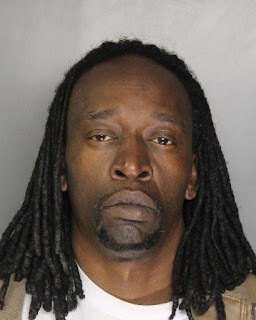 A vehicle driven by 45-year old Kevin Bernard Burns (pictured above) of Sacramento was stopped near Laguna Boulevard and Laguna Springs Drive for a code violation. A records check revealed that Burns, who displayed objective signs of impairment, was on probation, driving on a suspended license, and a subsequent search led to the discovery of marijuana and indicia of sales. Burns was arrested, booked into the county jail where he is being held on a $605,000 bail and is charged with possession of marijuana for sale, unlawful transportation of marijuana, violation of probation, and two misdemeanor charges of driving under the influence and driving with a suspended license. Arraignment is scheduled for Friday afternoon.